Meet the Mayoral Candidates: What's your favorite Boston movie? Whoâ€™s devoted to â€œGood Will Huntingâ€�? Whoâ€™s a sucker for â€œThe Departedâ€�? Who loves â€œThe Thomas Crown Affair"? Who has fond memories of â€œThe Verdictâ€�? We have plenty of serious questions for Bostonâ€™s mayoral candidates this summer, but we also want to find out a little more about them. So for the holiday week, we asked them to tell us their favorite Boston-themed movies â€“ and the reasons for their choices. We realized this would be a tough one â€“ and we figured that none of them was likely to pick â€œTed.â€� But weâ€™d like to think their choices are a little bit revealing The candidatesâ€™ picks are below. Add yours to the comments, or tweet at the hashtag #BosMayor. My favorite Boston movie is "The Verdict," the 1982 movie starring Paul Newman and Charlotte Rampling, about a medical malpractice case at a Boston hospital. The pursuit of truth and justice within the medical world is a theme which resonates with me. Superb acting, intense scenes and a stirring redemption story ending with justice for the aggrieved family make this my favorite. 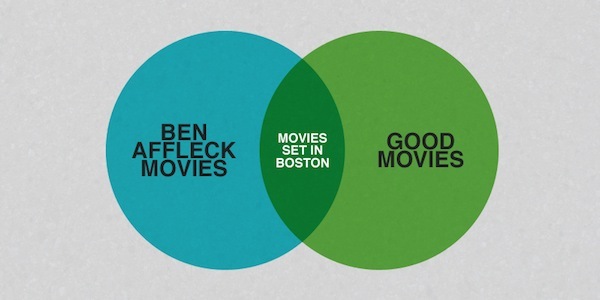 This oneâ€™s tough - there are so many great Boston movies. "Fever Pitch" â€“ the Sox! "The Thomas Crown Affair" â€“ Steve McQueen! But if I have to pick one â€“ itâ€™s "Good Will Hunting." Only two kids from Southie could have captured our spirit so perfectly. You canâ€™t help but root for Will Hunting as he struggles to find his place in life. Heâ€™s suffered horrible abuse, run afoul of the law and hasnâ€™t come close to satisfying his intellectual potential. But heâ€™s survived, made a family of friends and eventually finds his path to a happy future. It encapsulates everything that makes Boston great. Family and friendsâ€¦love and loyaltyâ€¦history and hope. But most of all, itâ€™s about the promise that oneâ€™s past doesnâ€™t determine oneâ€™s future. Thatâ€™s what Boston is all about. Besides, you gotta love a movie that so perfectly weaves in Carlton Fisk and Game Six! "The Verdict." I love that movie. Itâ€™s a great, old-fashioned David-vs.-Goliath courtroom drama about redemption. The Southie scenes were fun to watch, and the accents werenâ€™t too bad. Itâ€™s a great performance by Paul Newman in a career of great performances. Fireworks: Freedom of Expression or Fire Hazard? Boston.comment is an exchange for ideas about Boston and beyond, brought to you by the Boston Globe editorial page and edited by Globe columnist Joanna Weiss. We're the sponsor of Boston.com's #LabDebates and the creator of the Choose Your Own Adventure mayoral game. Our producer is Alex Pearlman, with contributions (and sea monsters) from Noah Guiney. To join the conversation, post a comment, tweet with our daily hashtag, or follow us on Twitter @BostonComment. A note on comments: Be honest, be open, be polite. And be warned: Personal attacks will be removed. Should we celebrate South Station's bitcoin ATM? Should Barbie and Sports Illustrated be #unapologetic?